Larry Ellison, the top-paid CEO and fifth-richest person in the world, now has a bit more time to live his extraordinarily glamorous life. It's not exactly a retirement for the 70-year old Oracle (ORCL) founder. He stepped down as Oracle's CEO but became the company's chairman and chief technology officer. But in his new, reduced role at the company, Ellison might be given an opportunity to enjoy his riches. Ellison is worth $51 billion, according to Forbes. He is a licensed pilot and owns several airplanes. He has an impressive car collection too. When (if) Ellison eventually leaves Oracle, he'll have his choice of where to retire to. 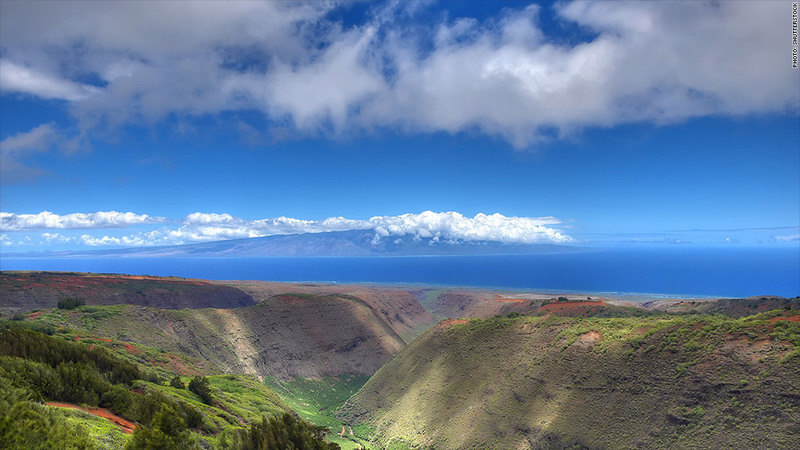 In 2012, he bought about 98% of Lana'I, Hawaii's sixth largest island. 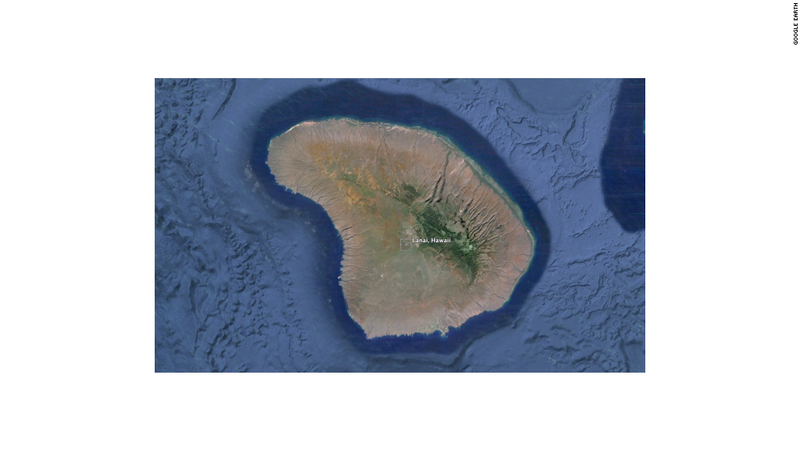 The 140-square-mile land mass includes two luxury resorts, two golf courses and two club houses. He bought an airline that flies to Lanai'l, and he turned the island into a kind of sustainable tech laboratory. His Woodside, Calif., house is modeled after a Japanese emperor's, and he has a massive collection of Japanese and samurai art. He owns dozens of other homes in California and a small village in Kyoto. But Ellison's biggest and best-known hobby is yachting. In 2010, he sold Rising Sun, his mammoth 453-foot yacht, to Hollywood mogul David Geffen. It's the 10th-largest yacht in the world, according to Boat International. Ellison now owns the 288-foot Musashi, just the 50th-largest yacht in the world. The yacht, named after a samurai warrior, includes a basketball court (and a boat that follows his yacht to pick up wayward balls that have fallen into the ocean). 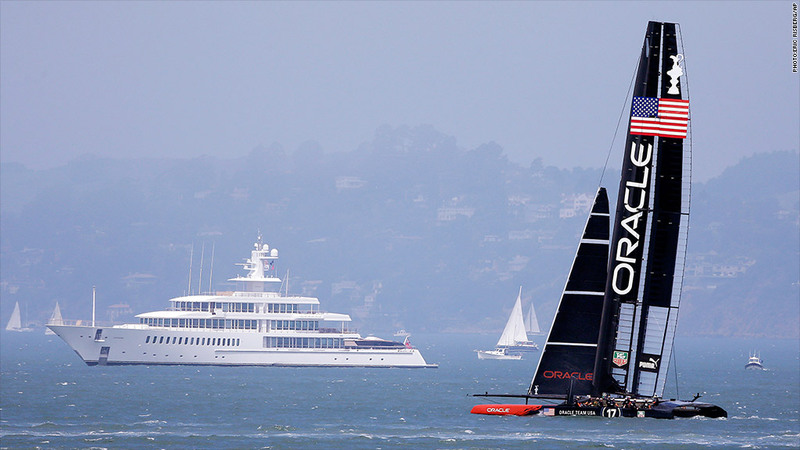 Musashi, behind an Oracle Team USA yacht. 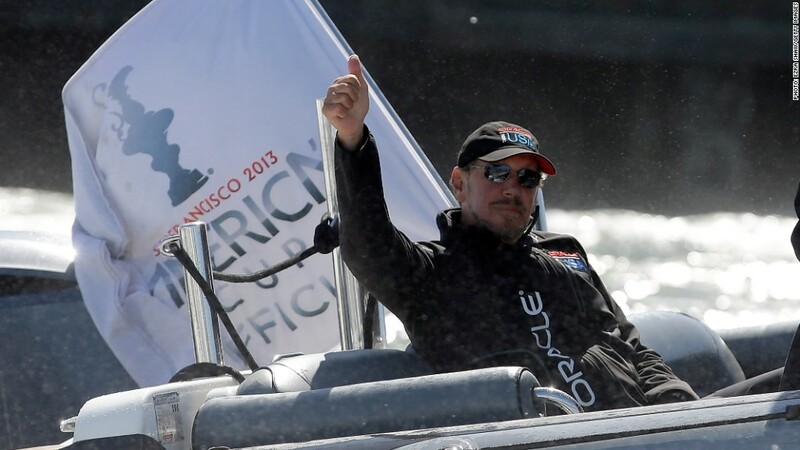 He also runs America's Cup's Oracle Team USA, which won the boating tournament last year. But the victory was controversial -- Ellison's team was fined $250,000 by an international jury for making illegal modifications to its 2012 yacht. Ellison has been married four times, and he currently dates Nikita Kahn, a Ukranian actress. It's fair to say Ellison enjoys life. But he did not amass such wealth by chance. He is known as a technological genius, helping to create the first relational database. The technology was the first to match one group of information (say, a list of names) with another (Social Security numbers). In 1977, Ellison and his partners began selling the software, which they called the Oracle Database. Five years later, they renamed their company "Oracle" after their software. Since then, Oracle has become one of the biggest providers of corporate software in the world. At Oracle's helm, Ellison has been known for his brash, outspoken persona and his cutthroat business strategy. Ellison isn't shy about publicly shaming rivals. He rubbed salt in Hewlett-Packard's (HPQ) wound by hiring its unceremoniously ousted CEO Mark Hurd (now Oracle's co-CEO). In a very public spat, Oracle sued Google (GOOGL) for patent infringement over its Android software. And he famously said Apple's (AAPL) best days are behind it without Steve Jobs, with whom Ellison was very close. Even though most consumers don't know what Oracle does, Ellison's glamorous life and demeanor have made him into a celebrity.